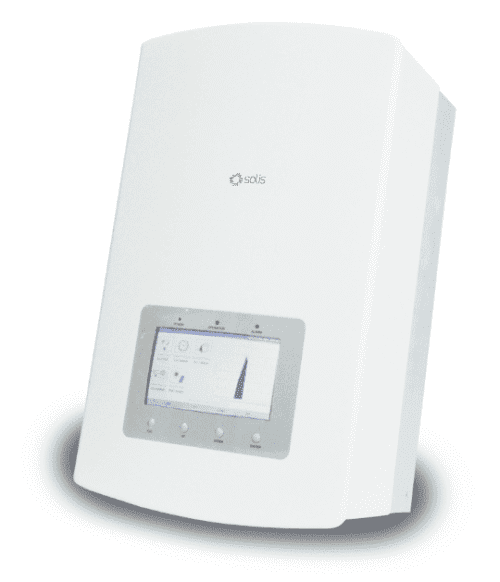 This Solis RHI-3.6K-48ES 3.6kW Solar Hybrid Inverter is a slim and lightweight design that allows an easy install. The inverter is aesthetically pleasing and is suitable for domestic environments. The inverter is IP65 protected alongside several other protection functions. WiFi and GPRS are optional interfaces which can be purchased separately and retrofitted at any time. A WiFi and monitoring app is available to allow the user to monitor their system remotely. Ningbo Ginlong Technologies World Headquarters and are located in Zhejiang, China. The Ginlong Wind Products and PV Inverter Product manufacturing facilities, also located in Ningbo, feature state-of-the-art manufacturing equipment in one of the largest renewable energy equipment manufacturing facilities in Asia. The company has representatives across the globe with sales and customer service offices in Europe, the United States and Australia. Ginlong Technologies has grown to be a highly specialized company focused on research, development, design and manufacturing of very high quality small-scale wind turbine equipment and PV inverters. By establishing local after-sales and technical support centers around the globe, Ginlong has been able to provide its customers with real time support to resolve any query that may be presented. Join our ZERO Home Bills Community. BEST Products from the BEST Brands at the BEST Prices for ZERO Home Bills on ZEROhomebills.com by Solaranna. Ningbo Ginlong Technologies World Headquarters and are located in Zhejiang, China. The Ginlong Wind Products and PV Inverter Product manufacturing facilities, also located in Ningbo, feature state-of-the-art manufacturing equipment in one of the largest renewable energy equipment manufacturing facilities in Asia. The company has representatives across the globe with sales and customer service offices in Europe, the United States and Australia. The evolution of Ginlong Technologies, an industry and technology leader in the renewable energy sector, was guided by the vision of one man who wanted to make a difference. Ginlong Technologies has grown to be a highly specialized company focused on research, development, design and manufacturing of very high quality small-scale wind turbine equipment and PV inverters. This growth was primarily driven by a team of dedicated engineers brought together by the company founder, Yiming (Jimmy) Wang to apply their international experience and skills to innovative renewable energy products. The Ginlong R&D leadership includes several Ph.D. holders that direct a team of skilled and experienced product and manufacturing engineers who develop solutions for client’s R&D and production issues. Some of these innovative solutions have resulted in new Ginlong patents that support the product line and innovative designs. Ginlong inverters are fully tested and certified to meet regional requirements in the countries where they are distributed. Although Ginlong Technologies has become one of the world’s most competitive manufacturers of PV and wind inverters and maintains a strong investment in R&D and continual improvements in production methods, customer service remains a primary focus and a key to the company’s success. By establishing local after-sales and technical support centers around the globe, Ginlong has been able to provide its customers with real time support to resolve any query that may be presented. Join our ZERO Home Bills Community. BEST Products from the BEST Brands at the BEST Prices for ZERO Home Bills on ZEROhomebills.com by Solaranna.